My Hero Academia Chapter 200 is out & the Mushroom Girl, Kinoko Komori seems to be a tough contender in this Center Exam Arc. She is so powerful that she grew Mushrooms for a quite a good range along with peoples body. In the future chapter, we could expect to see her playing some important role. We saw how Momo Yaoyorozu finds a place to get rid of it but gets attacked by Itsuka Kendo. It seems like Itsuka is overpowering Momo, but the thing is quite different here. We all know Momo’s Creation Quirk he somehow manages to take Itsuka’s punches. It does look like Itsuka is overpowering Momo, but we all know Momo’s intelligent skill, where she is excellent in analyzing even in extreme condition. 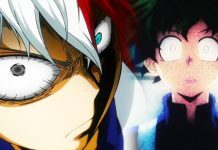 This has become clear that My Hero Academia Chapter 201 will focus majorly on Itsuka V/s Momo & in this article we are going to share our expectation on chapter 201. Looking at Momo’s smile at the end Itsuka’s of the chapter, it has become clear that she has managed to figure out her weakness and is on the attacking mood. In this episode, we are expecting to see how Momo overpowers Ishuka. There is no doubt that the fight is going to be intense. 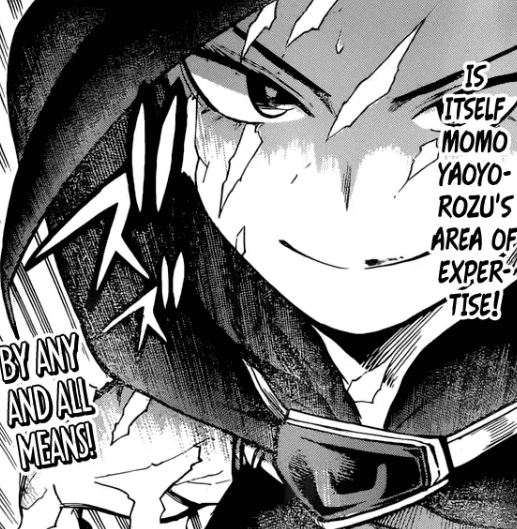 Whereas, Tokoyami & Yuga Aoyama are on the other battle & we might get to see both of them in action. Also if you remember, Momo had asked everyone to come to the location so that they fight in a plan. Chapter 201, is going to be all about how all Class 1A comes together to element all at once. 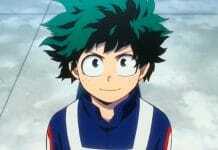 As said above, My Hero Academia Chapter 201 will release on 5 October on their official timing. We would like to know your thought on what you think we could expect from this upcoming chapter. My Hero Academia Chapter 201 will release on 5 October showing great battle between Itsuka V/s Momo.